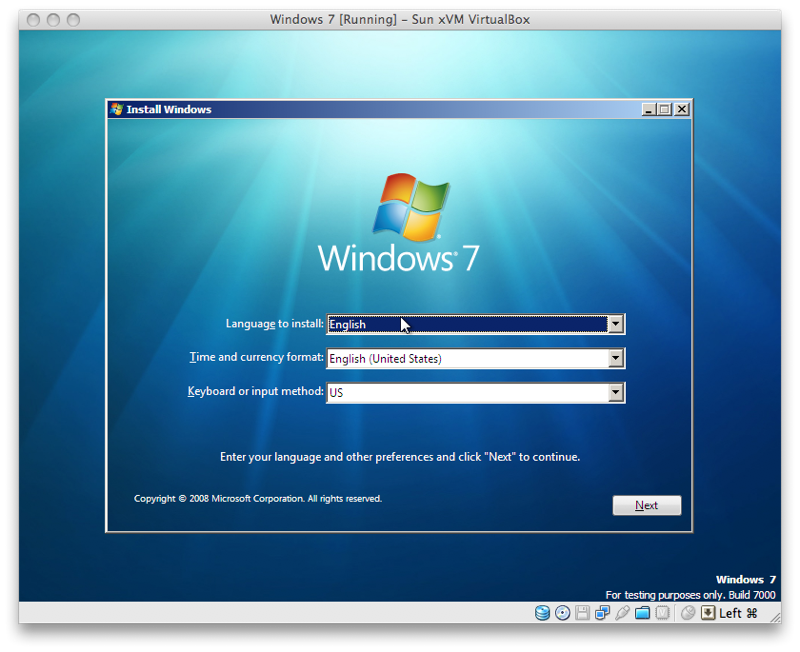 Microsofts public beta of Windows 7 is similar enough to Vista that it is fairly easy to install on a Mac, either using BootCamp to install it natively, or within a virtual environment. 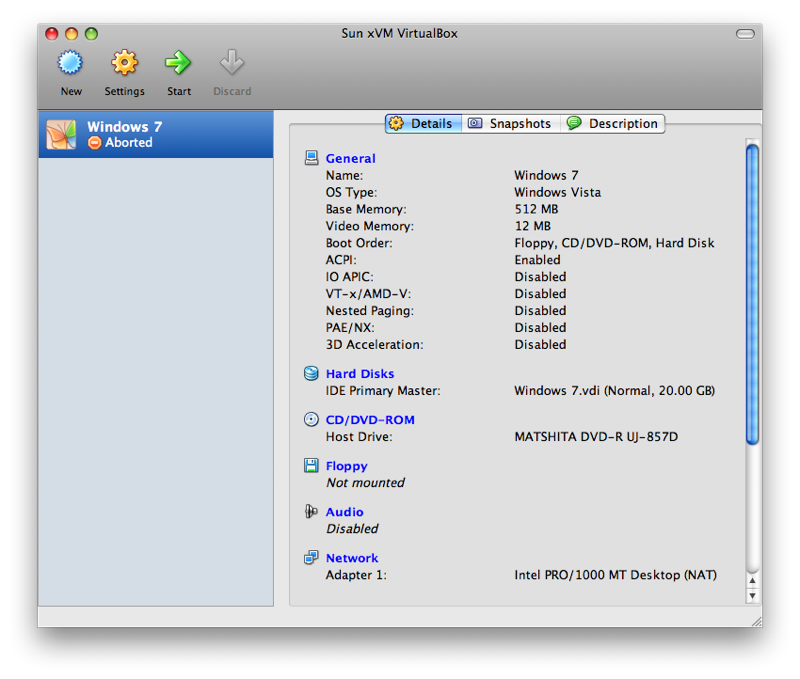 Heres whats involved with obtaining the beta and installing it using Sun's free VirtualBox software. While Microsoft makes far more revenue selling a retail box of Windows to an Intel Mac user than it does bundling the software on a new PC (hundreds of dollars retail versus around $30 for an OEM license), the company doesnt seem too view that potential Mac market very seriously. 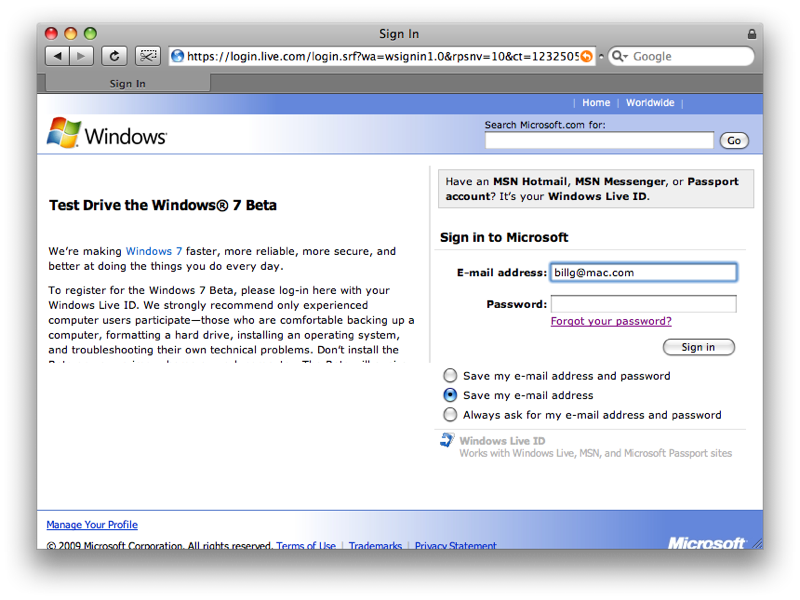 As we prepared to install the Windows 7 beta, we found that Microsoft hadnt exactly rolled out the red carpet for Mac users. From the first login page (required to access the beta site), Microsofts warning message alarmingly trails off into nothing for Safari users because the text is too big for the space allotted (below). 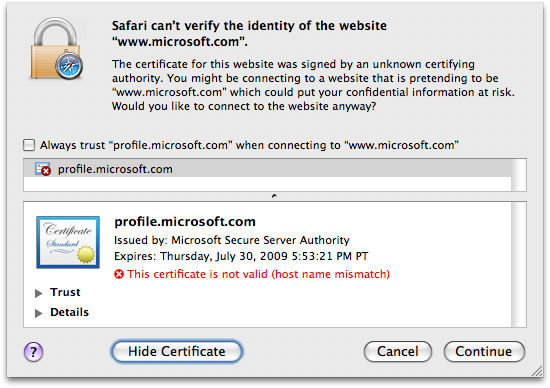 Using Firefox, we ran into show stopper security warnings because Microsofts security certificate doesnt match its domain name. 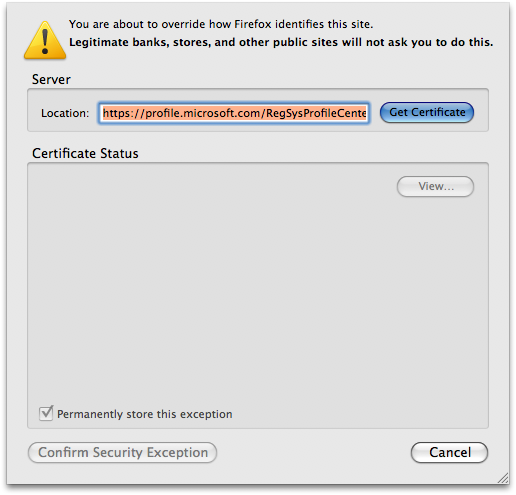 To get past this, you have to confirm a security exception, a step which Firefox insists legitimate banks, stores, and other public sites will not ask you to do (below). 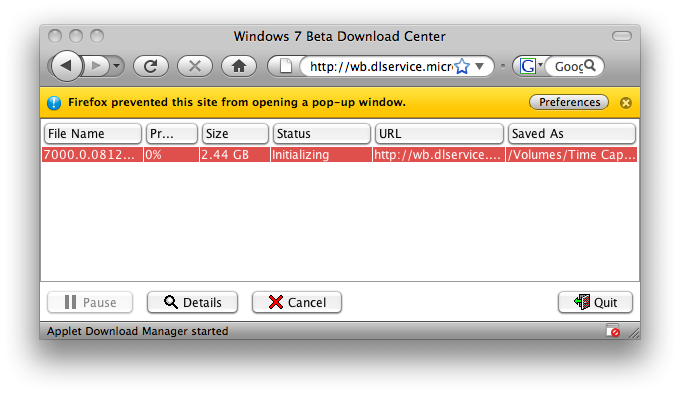 The 2.44 GB image will take some time to download. Over our 16-megabit cable Internet connection, the download required 52 minutes to complete. Along with the file download, Microsoft creates a 25-character string for you to type in during the installation, apparently so you dont pirate the free beta. Given that installing an operating system typically precludes being able to copy and paste the license key, this print out the key and type in manually step seems egregious, particularly for Mac users accustomed to not needing any license key to install Mac OS X. The newer version of Parallels software addresses those, but we took the opportunity to try Suns free, open source VirtualBox software instead. Parallels, VMware Fusion, and VirtualBox are all very similar in how they work, making the free software from Sun an easy choice for quickly setting up the new beta without any added expense. Suns software is a bit rough around the edges for a Mac application (using such weird user interface conventions such as the non-functional, purple close box on the preferences window below), but seems to work acceptably. All three virtual environments emulate a basic PC with middle of the road components. The CPU itself isnt actually emulated, of course, because Intel Macs have one of those natively. However, Windows 7 running in one of these environments doesnt see your Macs native hardware, but rather the more generic lowest common denominator PC hardware those virtual apps present to the operating system. 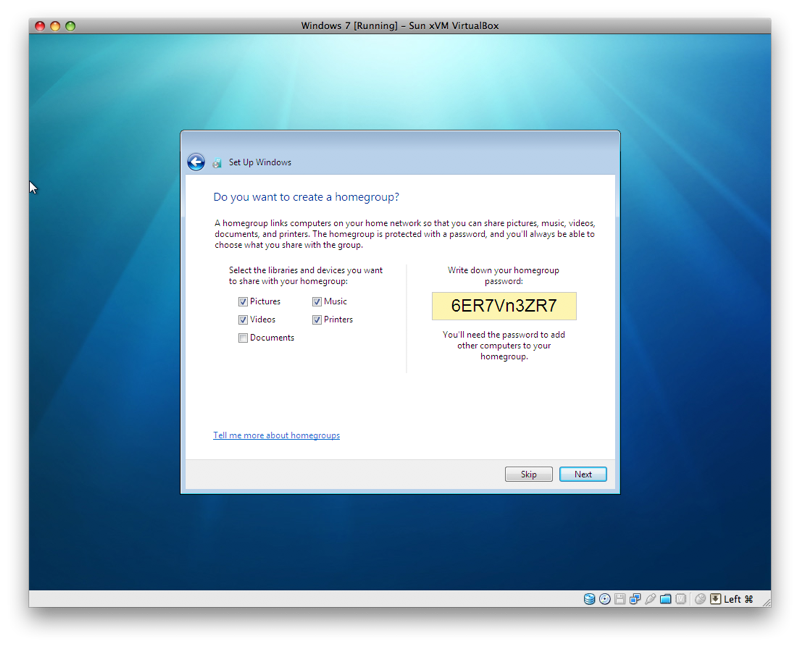 After keying in that long license number, there isnt much to set up during the install process, apart from optionally setting up HomeGroup, Microsofts new technology for sharing files and devices with nearly the simplicity of a Mac. 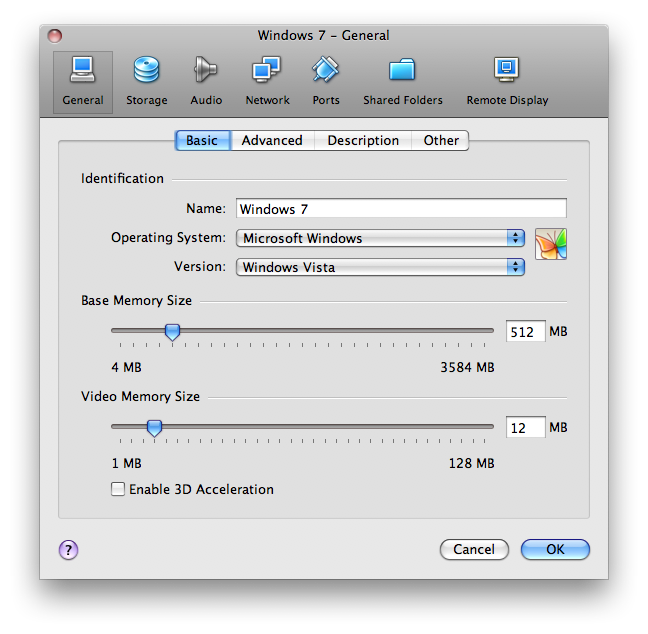 Using Windows 7 in a virtual environment is fast enough for running the occasional Windows app, but it isnt suitable for playing Windows-only games or other applications that demand the full performance of the system. For that, youll want to set up your Mac using Boot Camp and install Windows natively.